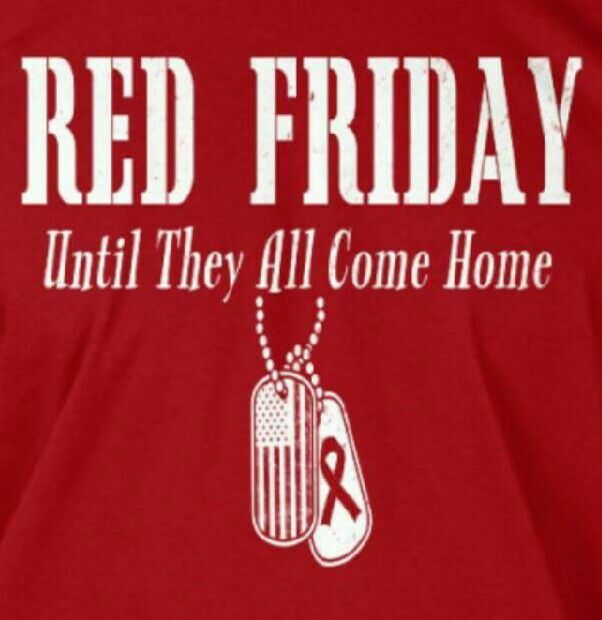 Wear your RED SHIRT on Friday! 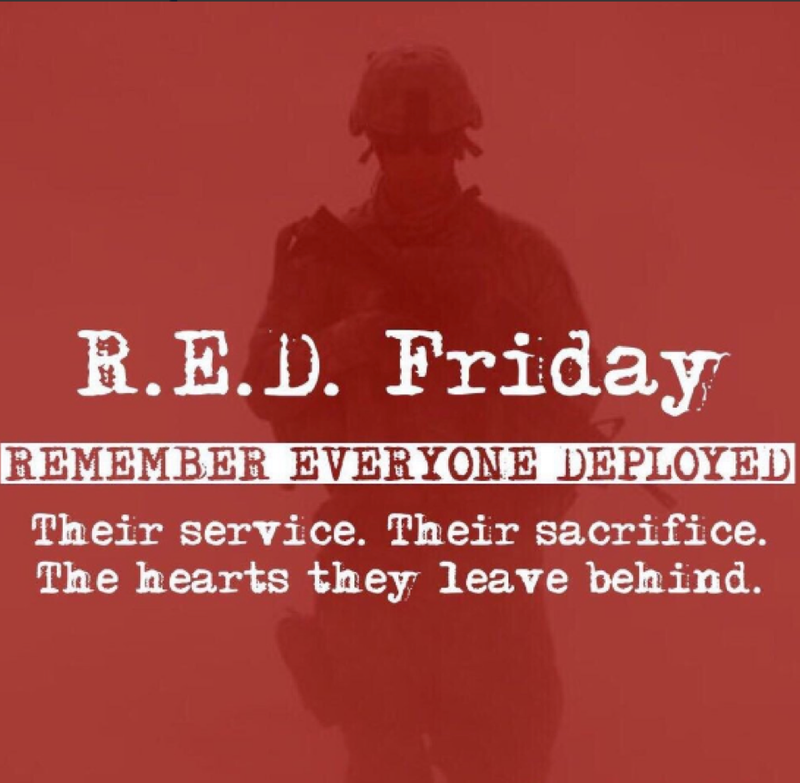 On Friday's we wear RED to Remember Everyone Deployed. 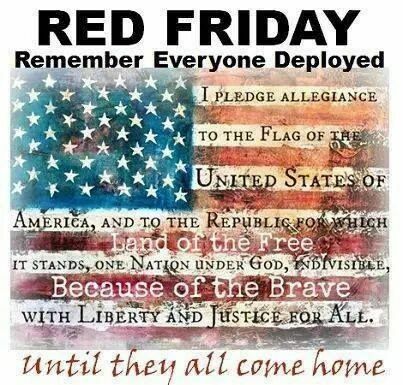 So wear a red shirt every Friday to show that you respect and support our troops and veterans.